Workrite.Care is based on Harvard Medical School’s health database and Workrite Ergonomic’s 25 year legacy of providing cutting edge ergonomic solutions for the ever changing workplace. Get helpful suggestions for improving office ergonomics and a research-based health and wellness library to help you learn about risk factors affecting the modern office worker. Research indicates that changing position periodically or standing for regular intervals throughout the day can reduce fatigue and improve alertness and productivity. Follow these simple guidelines to help prevent problems from occurring while sitting or standing at your desk. The height of your work surface should allow you to work without reaching or bending. Forearms should be parallel to the floor and at an approximate 90 degree angle from your upper arms. Wrists, neck and head should be in a relaxed neutral position. 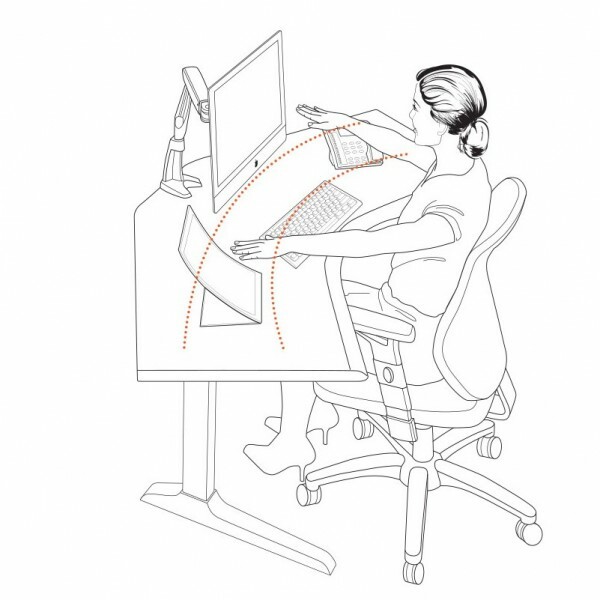 The distance between your eyes and the monitor should be at least 15.7” or more – typically arms’ length. 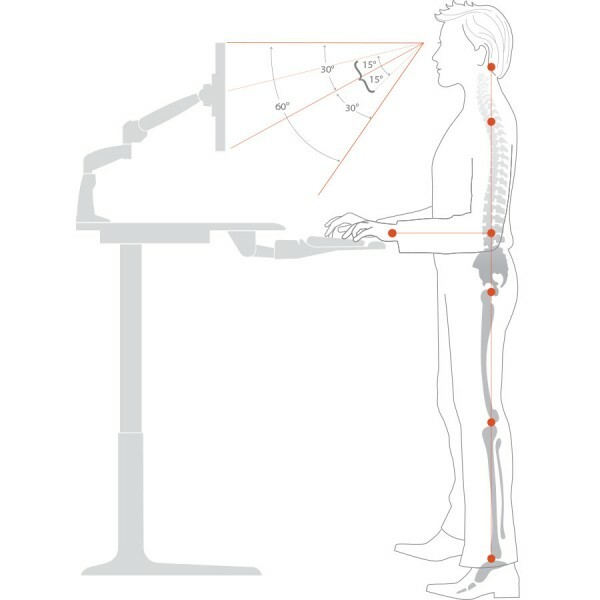 CTo insure that neutral neck and head posture are maintained, individuals who wear corrective lenses, particularly multi-focal lenses, may need to adjust the height of their monitor to a lower position and tilt the monitor at 30°-40° angle. Arrange commonly used items such as staplers and phones so that they are within easy reach. Wrists, neck and head should be in a relaxed neutral position – not angled up or down. The top one-third of your computer screen should be positioned at or below eye level. If you experience any of these issues, try the corrective measures to alleviate pain and reduce risk of injury in the future. Keep your wrists in a neutral (straight) position-not bent up or down. Stay centered on the lettered part of the keyboard. Applying moderate cold or heat to your back can reduce your discomfort. Get up regularly and walk around a bit, to the extent you can. Stretch regularly but gently, without bouncing, as that can cause tissue injury. Make sure you are consuming at least 6 – 8 glasses of water daily. Sleep is critical, make sure you are getting 7 -9 hours of sleep nightly. Uninterrupted computer use can contribute to headaches. Take appropriate breaks throughout the day. Avoid sleeping on your stomach with your neck turned to the side. Gentle full rotation stretching helps in alleviating muscle stiffness. Strengthening the shoulder muscles in addition to the neck muscles also helps to improve neck pain in the short and long term. For moderate sprains, the injured shoulder is treated with rest, ice and a nonsteroidal anti- inflammatory drug, such as ibuprofen (Advil, Motrin and others) to relieve pain and swelling. For moderate to mild sprains, isolate the shoulder by using a sling for a a short period of time. A sprain in the wrist is an injury to its ligaments, the tough bands of fibrous tissue that connect bones to one another inside a joint. Although most people speak of the wrist as a single joint between the forearm and hand, the wrist actually contains many joints that link 15 separate bones. The ligaments that connect these bones can be torn by any extreme twist, bend or impact that suddenly forces the wrist into a position beyond its normal range of motion. • Mild (Grade I) — The wrist’s ligaments are stretched or have microscopic tears. • Moderate (Grade II) — The damage is more severe, and some wrist ligaments may be partially torn. • Severe sprains (Grade III) — One or more wrist ligaments are entirely torn or torn away from where they normally attach to bones. Sprains of the wrist are fairly rare in everyday life and in the workplace. Under certain weather conditions, such as during ice storms or after a snowfall, a wrist sprain is commonly caused by a fall in which a person lands on outstretched arm. For athletes, sprains and other injuries to the wrist or hand account for 3% to 9% of all sports injuries. They are especially common among young males who play football, basketball or baseball. In addition, at least 36 Olympic events have been linked to an unusually high rate of wrist sprains, including roller hockey, baseball, boxing, basketball, volleyball, weightlifting, ice hockey, wrestling and judo. Among skiers, wrist sprains commonly occur when the skier falls while still gripping a ski pole or still having the pole strapped to the hand. Falls are also a frequent cause of wrist sprains and fractures among snowboarders and inline skaters. In platform divers, wrist sprains can occur when the wrist absorbs an unusually forceful impact as the athlete hits the water. Wrists sprains also occur in racquet sports, wrestling and pole vaulting because the wrist is subjected to extreme twisting movements during these sports. In a mild wrist sprain, your wrist may be slightly swollen and tender, and you probably will feel some mild pain when you move it. In more severe sprains, swelling can change the shape of your wrist, and you may have some bruising (a black-and-blue skin discoloration). Also, you’ll probably feel significant pain when you try to move your wrist, or when your health care professional moves your wrist while examining it. After reviewing your symptoms, your doctor will ask you to describe how you injured your wrist. Include as many details as you can. Did you fall or twist the wrist? What position was your wrist in when you injured it? If you are an athlete, your doctor may want an eyewitness account of your injury from a trainer or coach. Your doctor also will review your medical history, especially any history of previous wrist, hand or forearm injuries. If the results of your history and physical suggest you have a severe wrist sprain or a fractured bone, your doctor may order wrist X-rays. If these appear normal, but your symptoms are severe and persistent, your doctor may order additional tests such as magnetic resonance imaging (MRI) or a computed tomography (CT) scan. In some people, especially in competitive athletes with moderate or severe wrist injuries, the doctor may do a type of minor operation called arthroscopy to inspect the wrist ligaments directly for signs of damage. 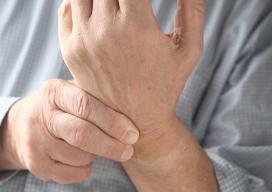 In milder wrist sprains, symptoms usually improve within two to three days. More severe sprains can take a number of weeks or even months to heal completely. To prevent wrist sprains related to falls, you can stay indoors when it’s icy or wet outside. If you must go out, wear shoes with soles that provide traction during slippery conditions and pay careful attention to the surface where you are walking. To prevent sports-related wrist sprains, wear protective equipment that supports the wrist. In particular, snowboarders and inline skaters should protect their wrists by using wrist guards or snug-fitting plastic wrist splints. Platform divers may wear protective tape, wrist splints or wraps that limit extension of the wrist. To prevent wrist sprains related to skiing, choose ski poles that have a low-profile grip with finger grooves. Also, grip ski poles without using straps and drop poles during a fall. A few simple exercises can preserve the strength and flexibility of your hands and wrists. There’s a reason that “having a good grip on the situation” is used as a metaphor for mastery. In physiological testing, grip strength is one of the indicators of health and vitality. Yet, although we may exercise to strengthen our cores and limbs, most of us don’t make an effort to strengthen our forearms and our hands. “We use our hands continually, but we don’t take the time to deliberately exercise them,” says Joanne P. Bosch, a physical therapist and certified hand therapist at Harvard-affiliated Brigham and Women’s Hospital. That said, it’s not a good idea to rush out and buy a device promoted for building a “crushing hand grip” or to start squeezing a tennis ball. “Doing the wrong exercise can actually exacerbate some problems, particularly carpal tunnel syndrome,” Bosch says. Therapists recommend specific exercises to treat specific conditions. Some exercises help increase a joint’s range of motion or lengthen a muscle and its associated tendons through stretching; these are helpful for osteoarthritis as well as tennis elbow and golfer’s elbow—but not when the joints are inflamed or painful. Other exercises strengthen muscles around a joint to generate more power or to give that specific body part greater endurance. These are helpful for resolving tendinitis and non-painful arthritis conditions. Bosch says the following exercises are commonly recommended for people with hand and wrist problems, but they can also help preserve hand strength. However, if you have a painful or debilitating hand, wrist, or arm condition, it’s best to get specific exercise recommendations from a therapist rather than trying something on your own. All exercises should be done slowly and deliberately, to avoid pain and injury. If you feel numbness or pain during or after exercising, stop and consult a therapist. By holding light weights (1 to 3 pounds) during the two range-of-motion exercises at right, you can begin a gentle strengthening program. Increase the weight gradually over time, making sure you can control the movement while holding the weight within a normal (or recommended) range of motion. Begin with one set of 10 repetitions. If you don’t experience any pain over the following 24 hours, gradually build up to doing three sets of 10, as tolerated, exercising every other day. Make sure the exercise is not painful or causing any numbness. Do the exercises slowly and deliberately, holding the positions for a count of 10. Be sure to do these only every other day, because your muscles need to rest for 24 to 48 hours between sessions. • Elevate the injured area. Your doctor also may suggest a nonsteroidal anti-inflammatory drug (NSAID), such as ibuprofen (Advil, Motrin and others), to relieve pain and ease swelling. For moderate wrist sprains, especially in professional or competitive athletes, the wrist may be immobilized in a splint or light cast for seven to 10 days. If you have a significant wrist injury, you will need physical therapy as soon as symptoms allow. Athletes usually can return to competition once symptoms subside, although it may be advisable to protect the injured wrist with a support splint. When a severe wrist sprain causes significant instability in the wrist, surgery may be required. Call your doctor immediately whenever you have symptoms of a severely sprained wrist, especially if your wrist is deformed or severely swollen, or if pain prevents you from moving your wrist normally in any direction. For milder sprains, call your doctor if your wrist symptoms do not improve within two to three days after your injury. Since most wrist sprains heal with time, the long-term outlook is usually excellent. This is especially true for people who do not routinely play sports that twist or bend the wrist. Among athletes with severe sprains, arthroscopic repair is usually successful. A sprain that tears ligaments in the shoulder most often occurs at the joint between the acromion and collarbone, called the acromioclavicular joint. This injury sometimes is called a shoulder separation. Less often, a shoulder sprain involves the joint between the breastbone and collarbone, called the sternoclavicular joint. This joint is within an inch of the midline of the chest. Many people would not guess that it’s part of the shoulder. The acromioclavicular joint is supported by the acromioclavicular ligament and the coracoclavicular ligament at the outside end of the collarbone near the shoulder. They bind the shoulder blade and collarbone tightly together. It takes a lot of force to tear these ligaments. The most common causes of this type of shoulder sprain are either a strong, direct blow to the front or top part of the shoulder or trauma from a fall, especially during athletic training or competition. A shoulder sprain also can be caused when a person collides with an object, such as a goal post or a tree (when skiing). 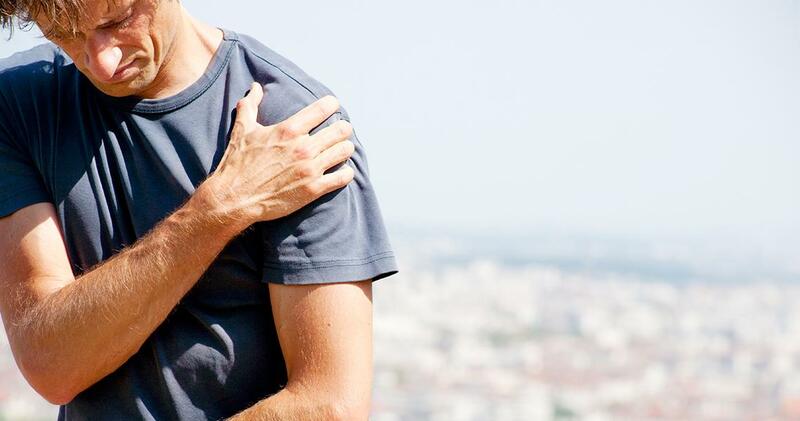 Shoulder sprains are common among athletes who participate in high-velocity or contact sports such as alpine skiing, jet skiing, football, rugby and wrestling. Grade I — The acromioclavicular ligament is partially torn but its companion ligament, the coracoclavicular, is uninjured, so the acromioclavicular joint remains tightly joined. Grade II — The acromioclavicular ligament is completely torn and the coracoclavicular ligament is partially torn. In this case, the collarbone typically angles slightly out of place. Grade III — Both the acromioclavicular ligament and the coracoclavicular ligament are completely torn, and the collarbone separation is obvious. Some doctors classify the most severe acromioclavicular injuries into even higher grades or types, from IV to VI. With each higher grade, the collarbone is more displaced away from its normal position and the shoulder is more severely deformed. The sternoclavicular joint is located where the inner end of the collarbone meets the breastbone. Because the sternoclavicular joint is even more tightly connected than the acromioclavicular joint, sternoclavicular injuries occur very rarely, only about one-fourth as often as acromioclavicular injuries. When the sternoclavicular joint is sprained, it is often when a driver’s chest strikes the steering wheel during an auto accident, or when a person is crushed by an object. In athletes, sternoclavicular sprains sometimes are seen among football players and rugby players after a direct kick to the breastbone or some sideways tackles that impacts the back or side of the shoulder. Grade I — The tears in the joint ligaments are mild and microscopic. The sternoclavicular joint remains tightly connected. Grade II — Ligaments between the collarbone and breastbone are visibly torn, but ligaments between the collarbone and ribs remain intact, so the joint is slightly deformed, but retains some connection. Grade III — All ligaments sustain severe damage, so the sternoclavicular joint is separated or deformed, and the collarbone is clearly displaced from its normal position. If you have a Grade I acromioclavicular sprain, you will have slight swelling and tenderness at the outside tip of your collarbone. You will have mild pain when you move your arm or shrug your shoulder. In more severe acromioclavicular joint sprains, swelling will distort the normal contour of your joint, and the area will be very tender. You will feel significant pain when you try to move your arm or when your doctor or athletic trainer touches the joint while examining it. Symptoms of sternoclavicular sprains are similar to those of acromioclavicular sprains, except swelling and tenderness are located near the midline of the chest. The doctor will inspect both your shoulders, comparing your injured shoulder with your uninjured one. The doctor will note any swelling, shape differences, abrasions or bruising and will check for extra motion in the acromioclavicular and sternoclavicular joints. He or she will test your ability to move your shoulder, and will ask about arm pain. Your doctor will gently press and feel your acromioclavicular joint, sternoclavicular joint and collarbone. Because many important blood vessels and nerves travel through your shoulder area, the doctor will also check the pulses at your wrist and elbow and will check the muscle strength and skin feeling in your arm, hand and fingers. If your physical examination suggests that you have a severe shoulder sprain or fractured bone in the shoulder area, your doctor will order X- rays. In more severe acromioclavicular joint injuries, your doctor may also order magnetic resonance imaging (MRI) scans or computed tomography (CT) scans. If you have a Grade I shoulder sprain, your discomfort should ease within one to two weeks, and you will be able to resume normal activities as soon as you can move your shoulder through its normal range of motion without pain. If you have a Grade II sprain, your discomfort should lessen within two weeks, but it may take as long as six to eight weeks before you can return to your usual athletic activities. People with Grade III shoulder sprains often return to work within four weeks. Athletes who participate in contact sports, however, have a high risk of injuring the area again, so they often need three to five months of rehabilitation before returning to their sport. Prevention Wearing protective padding during high impact sports might offer some protection against sprains and other shoulder injuries. If you have had a sprained shoulder, you may help to prevent injuring it again by practicing shoulder strengthening exercises recommended by your doctor or physical therapist. Treatment depends on the type of sprain and its grade. Acromioclavicular joint sprains — In Grades I or II sprains, the injured shoulder is treated with rest, ice and a nonsteroidal anti- inflammatory drug, such as ibuprofen (Advil, Motrin and others) to relieve pain and swelling. The arm is placed in a sling for one to three weeks. For most Grade III sprains, the sling is worn for four weeks. Some Grade III sprains may require surgery, particularly in very young people, in adults who work at jobs that require heavy lifting, or in people whose collarbone is displaced more than 2 centimeters (about 1 inch) out of its normal position. Sternoclavicular joint sprains — Grade I sprains are treated with ice, non-steroidal anti-inflammatory drugs, and a sling for one to two weeks. In Grade II sprains, the sling is worn for three to six weeks. Grade III sprains require a procedure called closed reduction. This is when the displaced collarbone is carefully slipped back into place after the person has received anesthesia or sedating medicines. Once the collarbone is back in its normal position, the injured shoulder is immobilized using a “clavicle strap” or figure-of-eight splint, along with a sling for four to six weeks. Call your doctor if a fall or blow to your shoulder makes the area painful, swollen, tender or deformed. Acromioclavicular joint sprain — The long-term prognosis for Grade I and Grade II injuries is good. However, 30% to 40% of people with this type of joint sprain notice some minor lingering symptoms, such as a clicking sensation in the shoulder or pain during push ups or other exercises that strain the shoulder. In studies of athletes who had Grade III sprains, both surgical and nonsurgical treatments gave good results, with about 90% regaining full range of motion without pain. Sternoclavicular joint sprain — After proper treatment, about 70%to 80% of people with Grade I or Grade II sprains are pain free and able to participate in normal athletic activities. The remaining 20% to 30% of people have occasional pain in the affected shoulder, as well as some limitations in how they perform athletically. People with Grade III sprains usually have a good long- term prognosis, with normal range of motion at the shoulder and little pain or disability. In some cases, however, the person has mild discomfort in the shoulder during activities that require heavy exertion of the arm. Among conditions that are both painful and non-life-threatening, back pain is one of the most common, affecting four in five Americans at some point in their lives. But the good news is that back pain need not govern how you live your life. Thanks to the pioneering work of back pain researchers, treatment has undergone a sea change. We now appreciate the central role of exercise in treating back problems and maintaining a healthy back. We also know that the best strategy for preventing back pain recurrence is to reduce your risk factors—for example, by losing excess weight and becoming more physically active. This is good news both for people suffering with back pain and for society at large, because the overall costs of this common condition are staggering, with some estimates of economic impact running from $84.1 billion to $624.8 billion in the United States alone. What puts you at risk for back pain? Although anyone can develop a backache, regardless of health or circumstances, research has found that some conditions or activities put you at greater risk for such problems. These conditions or activities are known as risk factors. Some are things you can change. Others aren’t. But knowing the risk factors will at least enable you to deal with those that are manageable. No matter what you do, some risk factors for back pain are beyond your control. Age. Although back pain can affect people at any age, episodes are most frequent in midlife, when changes occur in the bones and joints of your back, even in the absence of any injury. Discs (the structures that serve as cushions between the bones in the spine) tend to wear out and sometimes lose their structural integrity. These changes can cause pain. Osteoporosis (loss of bone density and strength) can be another problem, causing severe weakening of vertebrae that may eventually lead to vertebral fractures. Vertebral fractures can cause a loss of height and a rounding of the back. They can also be very painful. While back pain problems are more common in people in their middle years, in older individuals back pain attacks are more severe and last longer. Gender. Studies suggest that back pain plagues men and women equally. However, the types of back pain they have may differ. In Western industrialized societies, men are more apt to suffer from disc problems, and they are more likely to be treated surgically. These differences probably reflect the fact that a greater number of men than women work in jobs that involve heavy lifting, pushing, and pulling—and the fact that men in such jobs often feel the need to return to work as soon as possible. On the other hand, women often have backaches during pregnancy, particularly during the final trimester. And although the discomfort usually recedes and disappears after childbirth, it can become chronic. The exact reason for this kind of back pain isn’t known, but several factors probably contribute: ligaments normally loosen during the third trimester, abdominal muscles stretch and weaken, and carrying the developing baby and giving birth stress the back. Following childbirth, the task of caring for—and carrying—an infant or small child further taxes the lower back. A number of other back conditions are also more common in women. Because older women suffer from osteoporosis at higher rates than men, they are more likely to have vertebral fractures. Women are also especially susceptible to degenerative arthritis of the lower spine, a condition that generally involves the vertebral joints, and they are more likely to develop spondylolisthesis (an abnormal forward displacement of a vertebra relative to the one below it). Family history. Heredity appears to play a role in certain types of back pain. Defects of the discs seem more common in some families; a hereditary difference in the chemical makeup of discs may render them more prone to fragmentation or herniation, conditions that can trigger back pain. Two other back conditions that tend to run in families are ankylosing spondylitis (see “Arthritis”) and spondylolisthesis. You can’t change your genes, gender, or age, but you can change your lifestyle in ways that may lessen back pain or help you to cope with it better. Work and play. Certain jobs and activities put a greater strain on your back. Riding in motor vehicles is notoriously hard on your back, for instance, because it involves prolonged periods of sitting and exposure to vibration. 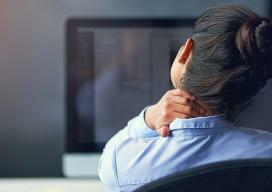 The sitting positions necessary for office work—from typing to computer programming—can also eventually take a toll on your back regardless of your age. Smoking. Smokers are also at greater risk, possibly because smoking damages blood vessels that bring nutrients to the spine. Smokers are much more likely than nonsmokers to develop chronic, disabling back pain. Hardly a day goes by without a headline in the health media about the results of a new study. Often the news is that what we thought was healthy (or unhealthy) actually isn’t. Then, a year later, another headline comes along to say just the opposite. Who’s right? The results of studies do differ. Sometimes it’s because of the way a study was designed. For example, if you’re testing a new drug, you’re likely to see more improvement if you test it on people with severe cases of a disease rather than those with mild or moderate cases. The sicker people have more to gain, and any small improvement in the drug’s effectiveness over the usual treatment tends to stand out. Other times a study is just not very well designed or carried out, although this does not always stop the health press from seizing on a controversial finding and hyping it. This Special Health Report attempts to reduce the confusion and mixed messages by relying whenever possible on two special kinds of scientific tools: meta-analyses and systematic reviews. These are “studies of studies” that pool findings from multiple previous pieces of research. The result is a kind of progress report on what scientists think they know about a health issue. The prestigious Cochrane Collaboration is known for its systematic reviews, and its work is cited often in this report. 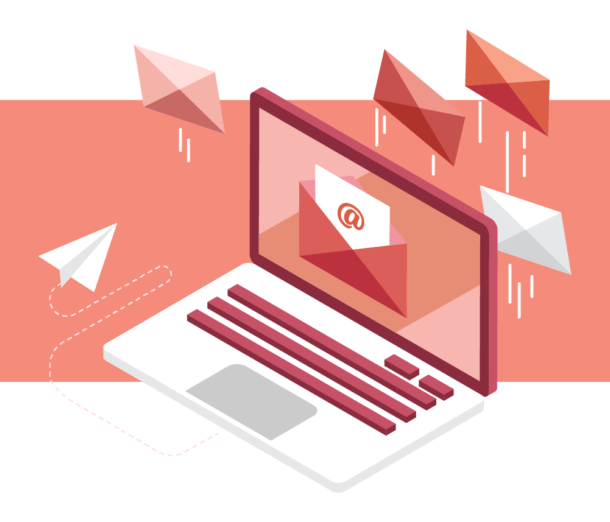 It’s a global network of health practitioners, researchers, patient advocates, and others who help to conduct comprehensive reviews of the scientific literature on a topic, both published and unpublished. A meta-analysis gathers a smaller selection of studies than in a systematic review and attempts to pool their findings into a result that is stronger than that of any individual one. These tools help doctors and their patients make better decisions. They answer the question, “Based on the best studies conducted to date, does this particular treatment work—or does it work better than other existing treatments?” An individual study may say “yes” or “no,” but systematic reviews and meta-analyses can sometimes prove the old saying that there’s strength in numbers. Physical characteristics and posture. The good news is that your build, weight, and height seem to have little to do with your likelihood of developing back pain in the first place. Even a moderate difference in leg length—up to three-quarters of an inch—doesn’t appear to make a difference. And despite your mother’s admonition to “sit up straight,” experts now agree that, in most cases, posture alone, whether bad or good, will neither predispose you to back pain nor shield you from it. Slumping and slouching don’t seem to have much effect on the basic health of your spine. 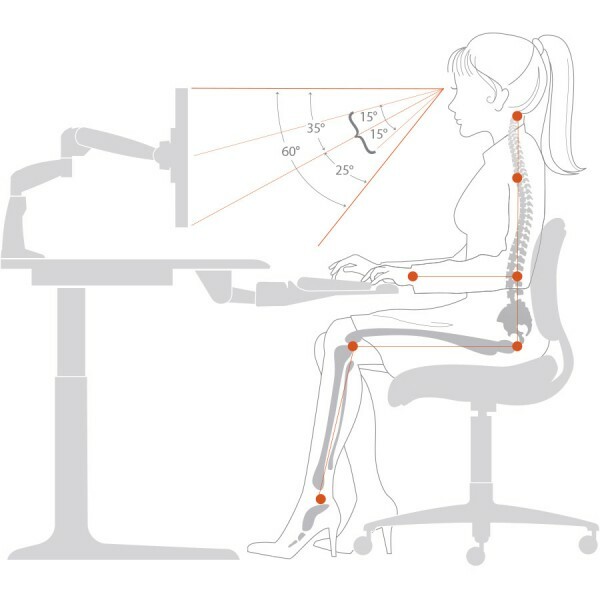 But before you slump back in your chair, note that poor posture can worsen existing pain. Improving your body mechanics can help relieve your symptoms and prevent recurrences (see “Building muscles” and “Stretching”). Being physically out of condition is an important reason people have recurring bouts of the “sprain and strain” type of back pain. And note that being overweight puts you at increased risk of having your symptoms return. What’s the connection? Doctors aren’t sure. Although it seems logical to think that carrying extra body weight causes back pain by increasing the strain on the spine, the connection may be more complicated than that. For example, becoming overweight tends to make you less physically active, and that could make back pain more likely. Psychological factors. A growing body of evidence shows that emotions and psychological well-being have a significant influence on physical health. It is not surprising, therefore, to learn that these factors also affect the risk of having back problems. Psychological factors such as stress, anxiety, and negative mood and emotions all increase the likelihood of developing back pain. Such factors seem to be especially important in determining whether an acute bout of back pain will become a chronic problem. One review of studies that examined this question, for example, found that people who were distressed or depressed were more likely to develop chronic back pain than other people. People who are unhappy at work because a job is unfulfilling or the pay is low also tend to develop more back problems than the general population. The reasons for this are not completely understood. Part of the answer may lie in the fact that chronic pain and depression share some of the same biochemical roots. The neurotransmitters serotonin and norepinephrine, for example, not only are involved in mood disorders such as depression but also are important in producing the sensation of pain. Anxiety and depression may sensitize a person to pain, making him or her feel worse. Sleep deprivation can also intensify the subjective perception of pain. Does this sound familiar? One day, you wake up and there is just something funny in your lower back—a twinge, a tightness, a warm ache. You gently try to stretch it out, but it’s no use: by the end of the day you are hunched over in pain. You’ve pulled your back out again. Why does your back hurt on this day but not another day? Although many episodes of back pain can be associated with a specific event—a fall, a sudden off-balance movement, or overdoing it in the garden or at work—doctors can’t always find an exact anatomical explanation. Even so, it is usually possible to categorize the type of back problem you have. The type of pain and the location of the pain are often enough for an experienced doctor to accurately diagnose a particular back condition and suggest appropriate treatments (see “Diagnosing back pain”). When the treatment is appropriate for the problem, then recovery should go smoothly. With a mismatch, recovery may falter (see “Creating a treatment strategy”). Following is some basic information on the major causes of back pain. Sprains and strains are the most frequent causes of backaches. Sprains affect ligaments, the tough, fibrous bands of tissue found where bones, such as the vertebrae in your spine, connect at joints. Strains are injuries of your muscles or your tendons, which connect muscles to bones. The next most common cause of back pain is a compressed or “pinched” nerve. Two common types of nerve-compression syndromes are disc problems (such as a herniated disc) and spinal stenosis, which occurs when a narrowing of the spinal column puts pressure on nerves in the spine. Spinal stenosis is a narrowing of the spinal canal, the channel in the vertebrae that the spinal cord passes through. As the space becomes more constricted, pressure is applied to the nerves, causing pain and certain other characteristic symptoms. Spinal stenosis is more common in people over age 50, since age-related degenerative changes are often the source of the problem. However, some people who naturally have smaller spinal canals are more likely to develop the condition and to be diagnosed earlier in life. Degenerative arthritis of the facet joints is common among older people. It often causes varying degrees of back pain, usually intermittent, over months or years. The most common of these arthritic ailments is ankylosing spondylitis (from the Greek ankylos for “bent,” and spondylos for “vertebra”). In this painful and disabling condition, the spine becomes inflamed and stiff. The disorder usually develops before age 40 and can be mistaken for a back strain or a disc problem when mild. Sometimes, people with this condition have pain in both sides of their lower back or pelvis. When severe, it can cause increasing pain over time, eventually resulting in fusion of the spinal joints and a completely rigid back. The natural history of a back problem—and thus the likelihood that it will improve on its own—depends to a large extent on whether it’s acute or chronic. Acute back pain strikes swiftly. It may follow something you did at work or at play. It can also be caused by a compressed nerve or a degenerative condition such as arthritis. Studies suggest that one-third of people with acute back pain from sprain or strain will be much improved in as little as one week after the start of their symptoms, and two-thirds will experience improvement within seven weeks. More often, however, painful backs mend more slowly, over four to eight weeks. Unfortunately, the problem often recurs: about 40% of people who develop low back pain will experience another bout of symptoms within six months. Therefore, after the initial acute attack retreats, prevention is key. Chronic back pain by definition shows little or no improvement after three months. Often the precise cause of the pain is difficult to pinpoint, and it gets progressively worse. In general, chronic back pain responds best to a management program that includes several different approaches—for example, a combination of pain-relieving medication, physical activity, and a complementary therapy such as acupuncture. You may need to visit a pain clinic in order to manage the pain. Work with your doctor to find the best combination for you. Your goal is to control pain and remain as functional as possible, so you can continue to live the life you want. It’s helpful to be an active participant in your care. Learn everything you can about your condition. Then help your doctor decide on a course of action that’s best suited to you. Ideally, this “patient-centered care” means your expectations and preferences—not your doctor’s—should guide your treatment plan. Applying moderate cold or heat to your back can reduce your discomfort. It’s best to use cold compresses or an ice pack, not heat, immediately following an injury. This can alleviate pain by numbing the area and can prevent or reduce swelling caused by inflammation. About 48 hours after the onset of back pain, though, applying heat to your back may be more helpful. The warmth soothes and relaxes aching muscles. Heat also increases blood flow, which carries oxygen and nutrients to the injured area and thus promotes the healing process. Generally, electric heating pads and hot-water bottles are effective and easy to use. Heat therapy tends to help only in the early days of an acute attack (up to a week). Make sure not to apply heat or cold directly to exposed skin, and don’t fall asleep; skin burns or irritation may result. Muscles lose conditioning and tone. Gastrointestinal problems, such as constipation, may arise. Blood clots may develop in the veins of the pelvis and legs, which raises the risk of pulmonary embolism (a serious medical condition where a blood clot, usually dislodged from a vein in the pelvis or leg, blocks an artery in the lung). Depression and an increased sense of physical weakness and malaise may occur—a common phenomenon in people confined to bed rest. For all these reasons, it’s far better to engage in a limited amount of physical activity than to lie in bed. So get up regularly and walk around a bit, to the extent you can. Research shows that an early return to work—with some restrictions or light duty, if necessary—is preferable to staying home from work for an extended period. The sooner you can get up and moving, the faster you will recover. Exercise therapy can help the recovery process during an acute episode of back pain, prevent repeat backaches, and improve your day-to-day function even if you have continuing, chronic back pain. Developing a suitable exercise program under expert supervision will enable you to build strong, flexible muscles that will be less prone to injury. If you have acute back pain, the goal is to help you resume normal activities as soon as possible and to remain symptom-free following recovery from the immediate attack. If you have chronic back pain, work with your physician to define your desired functional goal—whether it involves being able to tour museums, play with your grandchildren, or simply sit in the backyard reading a good book. Any exercise program should be customized to meet your individual needs and introduced gradually a couple of weeks after the onset of symptoms or when you are feeling reasonably comfortable. One golden rule about any exercise program is to stop if it becomes painful. Exercise is meant to help, not hurt. Another guiding principle of exercise for back pain is “start low and go slow.” Begin with a low level of exercise that you can do without pain or strain and ramp up gradually. Walking is a good starter activity. Start with a duration you can easily tolerate, and then add 10% to 15% to your time every week. Most people can double their walking time within five to six weeks. If you were exercising before an episode of back pain and then had to slow down or stop for a while because of the pain, don’t resume exercising at the same level as before the episode. If you try to pick up your exercise routine where you left off, you might get hurt. Start by doing less (fewer minutes or repetitions) and gradually build back up to where you were before. Aging and lack of exercise can leave you with weak, deconditioned back and abdominal muscles, causing or worsening back pain. That’s why stretching and strengthening these muscles—the “core” muscles of your torso—is so important to recovering from back pain and preventing a recurrence of the problem. Exercise strengthens and stretches the muscles that support the spine. A stretching and strengthening regimen should target the back, abdominal, and buttock muscles (see “Back- strengthening exercises”). Strong abdominal or flexor muscles, for example, help people maintain an upright posture, as do strong extensor muscles, which run the full length of the back and maintain alignment of the vertebrae. Meanwhile, the two iliopsoas muscles (which run from the lumbar vertebrae to the hips on each side) and the buttock muscles help support the back during walking, standing, and sitting. In addition, the muscles of the upper legs should be flexible and strong, because they’re connected to the iliopsoas and buttock muscles and, if weak and tight, can strain the supporting structures of the back. Stretching is a valuable component of any treatment plan for a person plagued by back problems. Most experts believe that supple, well-stretched muscles are less prone to injury. Indeed, shorter, less flexible muscle and connective tissues restrict joint mobility, which increases the likelihood of sprains and strains. Stretch regularly but gently, without bouncing, as that can cause tissue injury. Beginners should start by holding the stretch for a short time and gradually build up to roughly 30-second stretches. A recurring back problem may be a message telling you to examine aspects of your lifestyle that might be contributing to the problem. Maintaining a healthy weight and not smoking lead the list of lifestyle factors that can help your back. Although carrying too much weight is not proven to cause back pain conditions, being overweight or obese can slow your recovery. Those extra pounds also increase the risk that back pain will return. The heavier you are, the greater the load your spine must carry. To make matters worse, if the bulk of your weight comes in the form of abdominal fat, rather than muscle, your center of gravity can shift forward—a condition that puts added pressure on your back. By maintaining a healthy weight, you can ease the burden on your spine. You’ve undoubtedly heard this message before: smoking harms your health. Not only does it raise your risks for lung cancer, heart disease, hypertension, and other serious health problems, but it also jeopardizes your back. Research shows that smokers have more frequent episodes of back pain than nonsmokers, and the more people smoke, the higher the risk of such episodes, according to one study. Nicotine is toxic to the intervertebral discs, contributing to low back pain in two ways. First, nicotine hampers the flow of blood to the vertebrae and discs. This impairs their function and may trigger a bout of back pain. Second, smokers tend to lose bone faster than nonsmokers, putting them at greater risk for osteoporosis, another common cause of back pain (see “Osteoporotic fractures”). Backpacks have become ubiquitous—at school, at work, at play. But an overstuffed backpack can be a cause of back trouble. Most orthopedic doctors have long recognized that backpacks increase the risk of certain types of back pain, especially in students. A survey by the American Academy of Orthopaedic Surgeons found that nearly 60% of the doctors responding had treated students complaining of back and shoulder pain caused by heavy backpacks. Hauling an overloaded backpack can also cause muscle fatigue and strain and encourage the wearer to bend forward unnaturally. If you (or a child or grandchild) use a backpack, use both the pack’s straps instead of slinging one strap over a shoulder. Try to carry only the essentials, and lighten your load whenever possible. Opt for backpacks that have different-sized compartments to help distribute weight evenly. And look for wide, padded straps and a padded back. A strap that fastens around the hips can also redistribute pressure away from the spine and place it on the hips instead. When carrying a heavy load, put the heaviest items as close as possible to the center of the back, and use the hip strap for support. For very heavy loads, use a backpack with wheels. Above all, remember to bend from your knees when picking up your pack. Tighten your stomach and keep your buttocks tucked in. Don’t try to lift the object too high. Don’t raise a heavy load any higher than your waist; keep a light load below shoulder level. If you need to turn to set something down, don’t twist your upper body. Instead, turn your entire body, moving your shoulders, hips, and feet at the same time. Ask for help with lifting anything that’s too heavy. While standing to perform ordinary tasks like chopping vegetables or folding laundry, keep one foot on a small step stool. Don’t remain sitting or standing in the same position for too long. Stretch, shift your position, or take a short walk when you can. When sitting, keep your knees a bit higher than your hips and bend them at a 90-degree angle. Sit with your feet comfortably on the floor. If your feet don’t reach the floor, put a book or a small stool under them. 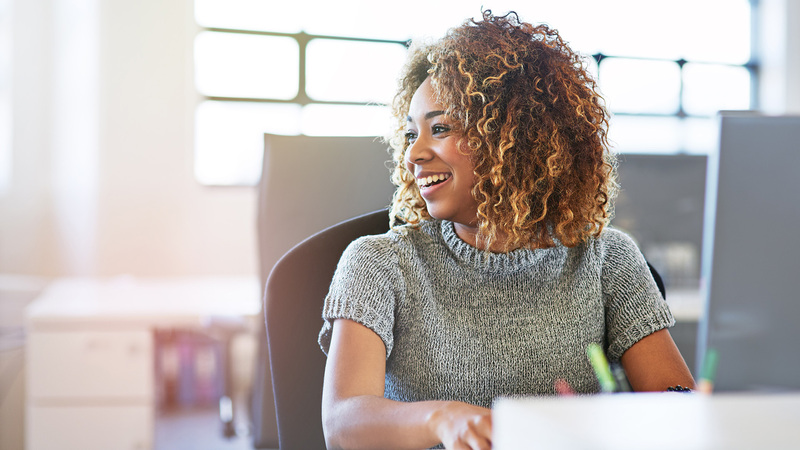 Choose an office chair that offers good back support (preferably with an adjustable backrest, lumbar support, armrests, and wheels) and set up your work space so you don’t have to do a lot of twisting. Try not to overload briefcases or backpacks (see “Lighten your load”). Make frequent stops when driving long distances. While driving, sit back in your seat, and if your seat does not provide sufficient lumbar support, place a rolled blanket or some towels behind your lower back. Try to shift your weight occasionally. If you have cruise control, use it when you can. Also consider using a foam seat cushion to absorb some of the vibration. Sleep on your side if you can, and bend your knees toward your chest a bit. Also, choose a pillow that keeps your head level with your spine; your pillow shouldn’t prop your head up too high or let it droop. Choose a mattress that’s firm enough to support your spine (so that it doesn’t sag into the bed) and that follows your body’s contours. The International Headache Society classifies headaches into two main types: primary headache and secondary headache. Typically, tension-type headaches cause mild to moderate pain, usually on both sides of the head. There is a pressing or tightening sensation. It is not pulsating and is not accompanied by nausea. The headache does not get worse with routine physical activity. The typical migraine headache is throbbing or pulsating, and often is associated with nausea and changes in vision. While many migraine headaches are severe, not all severe headaches are migraines, and some episodes of migraine can be quite mild. Most people who have migraine experience repeated attacks of headaches that occur over many years. Cluster headaches are very intense headaches. They usually start in the area around one eye, then spread to nearby areas of the face. Each headache lasts about a half-hour to three hours. Episodes can occur several times over 24 hours (in clusters). This happens daily, lasting several weeks to months. 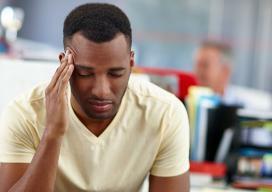 Cluster headaches are much more likely to happen in men than women. Medication related. The medication may be the direct cause of headaches. For example, headache is a side effect of the blood pressure medicine nifedipine. Mithdrawal headache. Headaches can occur when a substance or medication is suddenly stopped. Examples include caffeine withdrawal headache or headache after abruptly stopping long term use of pain relievers. By definition, a headache is a pain in the head. But the type, location, and severity of pain are highly variable. And for migraine, there can be profound symptoms without a headache. A person can simultaneously have multiple reasons for headaches. It’s common for a person to have both migraine and tension-type headaches. And the symptoms of tension-type headaches and migraine headaches can overlap. For example, both types of headaches may be made worse by bright lights or loud noises. In general, migraine headaches tend to throb. Tension-type headaches tend to cause a more constant pain. But the pain of either a migraine or a tension-type headache can be steady or throbbing, or can alternate between the two. Most often, people can make a self-diagnosis of a tension-type headache or migraine. However, the onset of a new, very severe headache should prompt an urgent visit for clinical evaluation. The doctor will often be able to make the diagnosis based on your description of the headache, your medical history, and the results of a physical examination. Headaches can last from a few minutes to an entire day, and even for many consecutive days. A chronic headache or persistent migraine can last for part or all of the day for most days of the week. The pain can also be continuous. The intensity of pain may fluctuate during that time. Relaxation techniques and avoidance of stressful situations may help to prevent headaches. Many things can trigger a headache. Identifying and correcting one or more triggers may reduce headache frequency and severity. People with frequent or severe migraine attacks often benefit from taking preventive medication daily. For infrequent headaches, over-the-counter pain relievers are convenient, effective, and relatively safe. Examples include aspirin, acetaminophen (Tylenol), ibuprofen (Advil, Motrin), and naproxen (Aleve). Some people get more pain relief with combination pain relievers that contain caffeine. To be most effective, a pain reliever medicine should be taken immediately when the headache starts. The use of any over-the-counter pain reliever should be limited to no more than two or three days per week. If pain medications are used more frequently than that, “rebound” headaches may occur on the days that medications are not taken. Ergotamines, such as sublingual ergotamine (Ergomar) and dihydroergotamine (Migranal). In addition, people who experience nausea with a migraine (with or without vomiting) can also take an anti-nausea pill or suppository. Frequent episodic and chronic headaches are more difficult to treat. Rebound headaches are common when pain relievers are stopped. Therapy to prevent the headache before it starts is a better strategy than taking pain relievers after the headache is present. There are several medications that can break the cycle of recurrent headaches, such as naproxen (Naprosyn, Aleve, generic versions) and amitriptyline (Elavil, generic versions). Some people are able to treat their headaches without medications. You can apply an ice pack or heating pad to any tight areas in the neck and shoulders. You can also try massaging the area. Most headaches are harmless. It’s reassuring if you are able to relieve your headaches without medications or with only occasional use of a pain reliever. Infrequent episodic headaches can usually be treated successfully with pain-relieving medication. But finding the right combination of therapies to relieve frequent episodic and chronic headaches may take several months. Over time, most people will have fewer and less severe headaches. Does your neck feel stiff when you awaken in the morning? Or do the muscles seize painfully with no warning? Maybe a dull ache and tightness in your neck and upper back is a constant companion? If you’re bothered by neck pain, you have plenty of company. 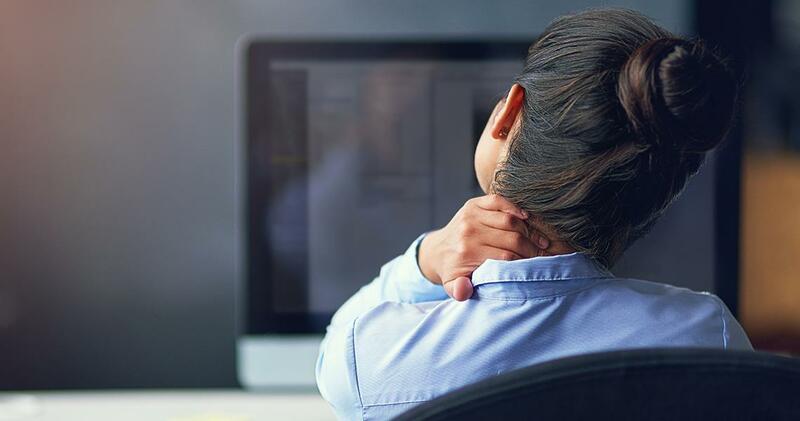 In a recent three-month period, about 15% of adults in the United States experienced neck pain, according to the Centers for Disease Control and Prevention. Doctors estimate that seven out of 10 people will be troubled by it at some point in their lives. Why is pain in the neck area so common? Your neck must be strong enough to support a heavy weight — your head — but must still allow you to tilt, turn, and nod your head easily. This combination of strength and flexibility requires a complex system of muscles, bones, tendons, and nerves. As a result, the neck is vulnerable to strain and injury. When your neck hurts, you want to know why. But be prepared for the possibility that your doctor may not be able to target a specific cause. You may be one of the many people who have pain but no clear abnormality. For many, the routine, daily demands on the structures of the neck result in pain. Lack of a diagnosable abnormality doesn’t mean there is no solution, however. A number of treatments are available to help ease the pain. Regardless of the cause, your goal is to relieve symptoms, to increase comfort, and to restore normal neck function. And treatments for different types of neck pain are often similar, no matter what the cause. Here are some of the most common disorders that can trigger neck pain, and an overview of treatment strategies for each. A strain is a muscle injury — the tissues overstretch or sustain microscopic tears as the result of repeated overuse or a single overexertion, such as hoisting a heavy suitcase. If the stretching and tears occur in a ligament, it is called a sprain. Almost 85% of neck pain stems from either neck injury or stress and strain over the long term. Like other muscles, overworked neck muscles tend to become stiff and achy. In addition to overwork, neck strain or sprain can result from physical stress, poor posture, sleeping positions that don’t support the neck in a healthy position (for example, sleeping on your stomach with your neck turned to the side), and injuries such as whiplash. Because a sprain or strain involves soft tissue, rather than bone, common imaging tests like x-rays won’t reveal these injuries. Some doctors use the term “nonspecific neck pain” instead of strain or sprain. Over the years, age-related degeneration in the joints and discs of the neck may cause pain. Unfortunately, there are no specific measures you can take to prevent degenerative neck conditions other than trying to avoid neck injuries — for example, by wearing a seat belt or avoiding dangerous activities. Even exercise has not been shown to prevent or delay the onset of degenerative disc or joint disease in the cervical spine. The initial, conservative treatments for pain from any of these degenerative conditions are the same as the initial treatments for neck pain stemming from sprains or strains. These treatments include ice packs, heat, pain relievers, gentle range-of-motion exercises, and when possible, stretching and strengthening exercises. The neck is packed with structures, including the spinal cord and peripheral nerves that lead to all parts of the body. When nerves in the neck are squeezed, pinched, or otherwise damaged, a variety of painful symptoms can result. Whiplash is the name for a group of symptoms and also for the typical accident that leads to them. Whiplash is also called a hyperextension or acceleration-deceleration injury, and while it is most commonly associated with car crashes, it can also occur in other situations, such as riding a roller coaster or getting punched in the face. Whiplash injury can cause neck muscles to strain and ligaments to stretch or tear. Whiplash injury may also affect the spinal nerves, intervertebral discs, facet joints, or other components of the neck. Whiplash damage to muscles and ligaments should heal within a few months. However, roughly one-third to one-half of people with whiplash do not recover fully, though their lingering symptoms tend to be mild and intermittent, and do not often interfere with work or daily activities. Of the one million people diagnosed with whiplash every year in the United States. When you see the doctor, it’s best to be as clear as you can in describing what your pain feels like. With so many things that can go wrong, there are clearly many possibilities to consider — and people may perceive the same type of pain differently. Before your appointment, think about how you would describe your neck pain. Are your neck and shoulders stiff? Do you feel a sharp pain or hear a grinding noise when you turn your head? Pain can be mild or severe, achy or sharp, stationary or shooting. It may stand alone or be accompanied by other troublesome complaints. By clearly describing your specific neck symptom — or combination of symptoms, because they often overlap — you can help your doctor determine what’s wrong and how to help. There is mounting scientific evidence that specific exercises — and physical activity in general — help people break longstanding cycles of neck pain and heal more quickly after neck injury. After a whiplash injury, for example, people heal sooner and are less likely to develop chronic pain if they start gentle exercise as soon as possible. In easing chronic neck pain, the results from controlled studies are mixed, but all endorse staying active in some form. Perform these movements to the point where you feel a slight stretch but no pain. Note: While these exercises are fine for most people with neck problems, do not do them if you have a fracture or a recent, significant neck injury, or when movement exacerbates the pain. Check with your doctor if you’ve had a recent neck trauma, or you’re not sure you should exercise your neck. These stretches help relieve tight neck muscles. At the same time, they reduce compression of the vertebrae caused by such tension, and they help maintain or extend the neck’s range of motion. Start by facing forward. Turn your head slowly to one side. Hold three seconds and return to the original position. Turn your head slowly to the other side. Hold three seconds and return to the original position. Repeat 10 times. Face forward and let your head bend slowly to the side. Hold three seconds and repeat to the other side. Repeat 10 times. Do this exercise slowly and gently. For an additional stretch, when your head is bent to the side, let it roll slowly forward about 45 degrees and hold it there for three seconds. Strengthening the muscles surrounding the cervical spine alleviates some of the pressure on the facet joints. It also helps maintain proper alignment of the spine, which in turn reduces muscle strain on the surrounding areas. This exercise can be done in a sitting position — at the office, for example — or lying down with your knees bent and feet flat on the floor. Place your palm on your forehead and press gently as you try to bring your chin to your chest; your neck muscles will tighten without your head moving. Hold for a count of three to five seconds. Repeat 10 times, twice daily. Place one or both hands behind your head and use them to resist as you press your head backward. Hold for a count of three to five. Repeat 10 times, twice daily. Place your right palm on the right side of your head, using it to resist as you try to bend your right ear toward your shoulder. Hold for a count of 10. Repeat on the left. Place your right hand on the right side of your head. Try to rotate your head to the right, resisting with your hand. Hold for a count of three to five. Repeat on the left. Repeat 10 times. Strengthening the shoulder muscles in addition to the neck muscles also helps to improve neck pain in the short and long term, perhaps by reducing pressure on the joints and nerves in the neck.